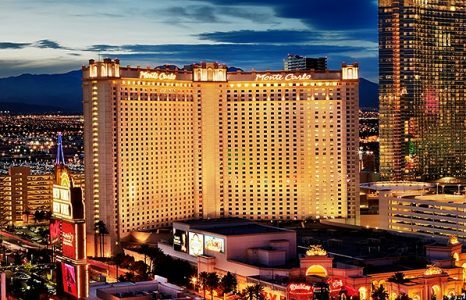 MGM Resorts International has announced the closing of the Monte Carlo Casino & Resort on the Las Vegas Strip. This is the second iconic hotel property we’ve lost this month, following the implosion of the Riviera (see story). While the Monte Carlo offered a good value price point, great location, and had some interesting features, most notably its little known but excellent boutique resort within the resort, Hotel 32, it never had a cohesive theme or appeal the way most other big casino resorts do. That’s all about to change. The $450 million transformation begins this fall and will result in a new 2,700-room luxury resort, Park MGM, with a 292-room spin-off of the popular New York City lifestyle hotel, the NoMad. Two years ago MGM did a similar move in bringing Miami’s hip Delano to its Mandalay Bay Resort. Today it is the norm for almost every big casino resort in town (Caesars Palace, MGM Grand, Aria, Mirage, Wynn, Mandalay Bay) to house at least one smaller, cooler, and typically more luxurious hotel within a hotel. The new resort takes advantage of the adjacent urban oasis, The Park. Modeled on Nevada’s desert landscape and full of sculptures and water features, The Park is lined with an appealing array of indoor and outdoor bars and eateries, and serves as a pedestrian pathway to the new T-Mobile Arena, the biggest concert and event venue on the Strip. Park MGM and The NoMad Las Vegas are to be the final pieces of MGM Resorts’ complete and enormous “neighborhood” redevelopment of the central Las Vegas Strip. This began in 2009 with CityCenter, a 76-acre mixed use complex that includes the 4,000 room Aria, 1,500 room Vdara, Forbes 5-Star Mandarin Oriental, the Crystals luxury shopping mall. Park MGM and The NoMad Las Vegas are expected to open in late 2018. To read more at Forbes, click here.